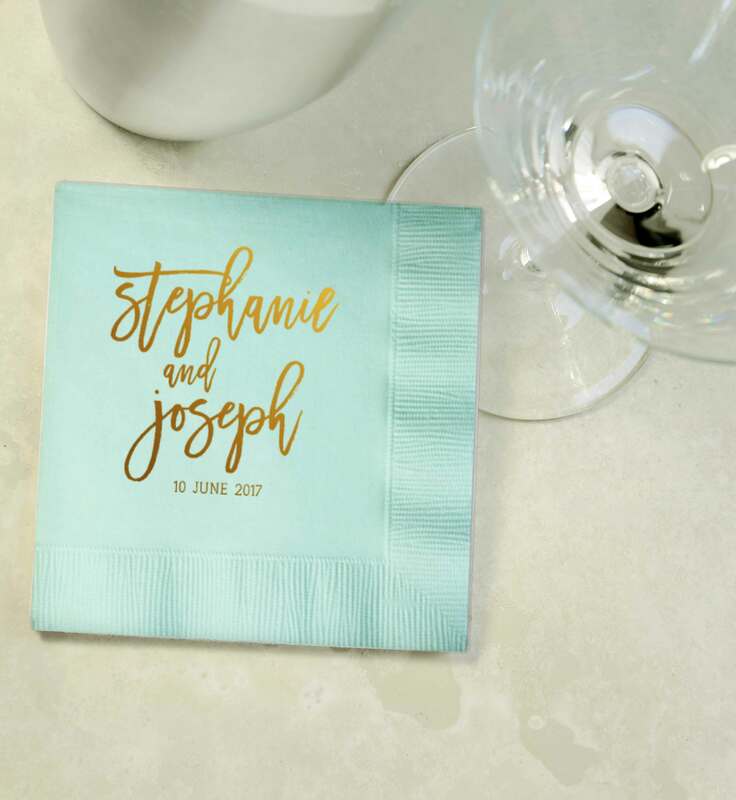 Custom Gold Foil Cocktail Napkins: Add a personal touch to your wedding, party or special event with our custom foil imprinted cocktail napkins! 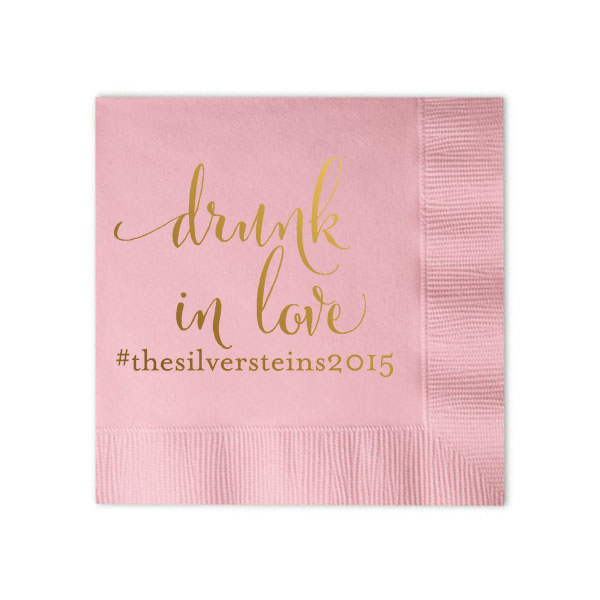 Add a personal touch to your wedding, party or special event with our custom foil imprinted cocktail napkins! 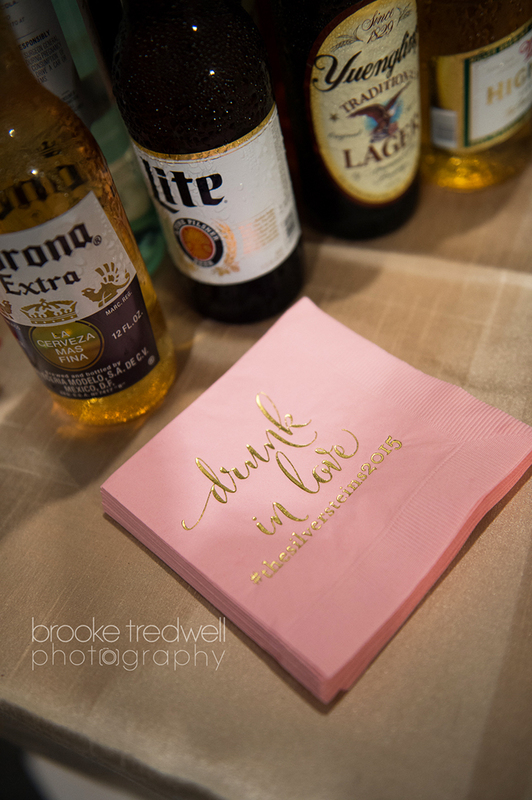 This listing includes custom napkins imprinted with the message of your choice in gold foil. Would you like another color other than gold? Just message me. 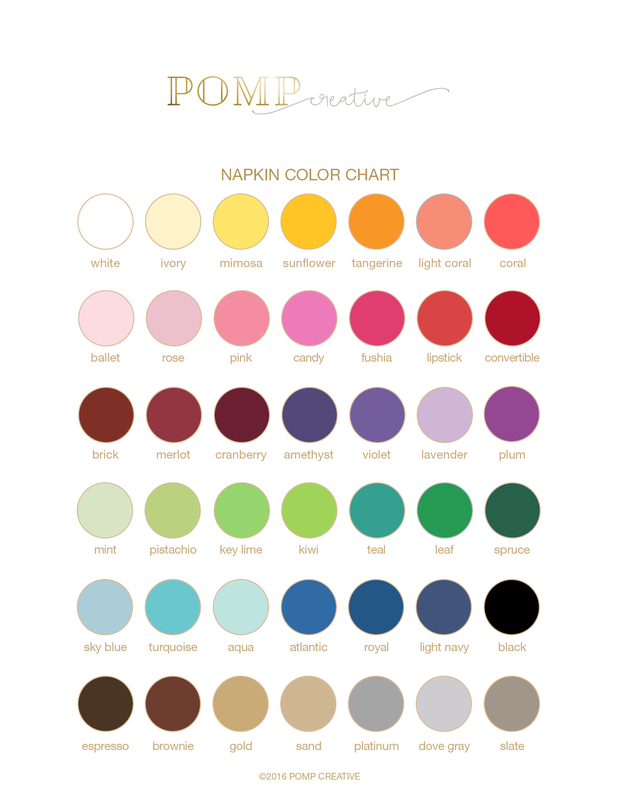 You can also send me your one color logo. For larger quantities, send us a message and we can create a custom listing for you. 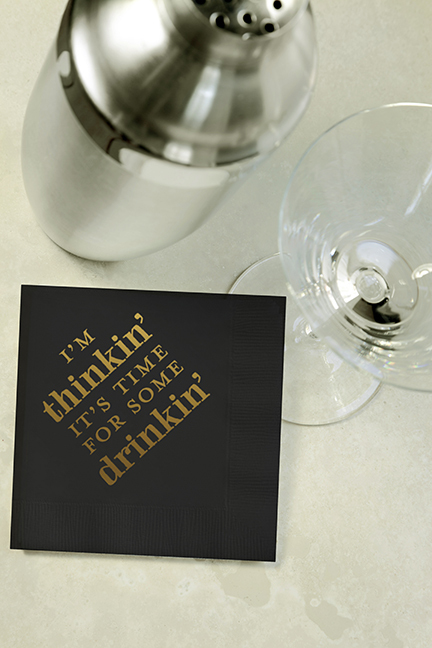 In the Order Notes section at checkout, please enter your text exactly as it should appear on the napkin. 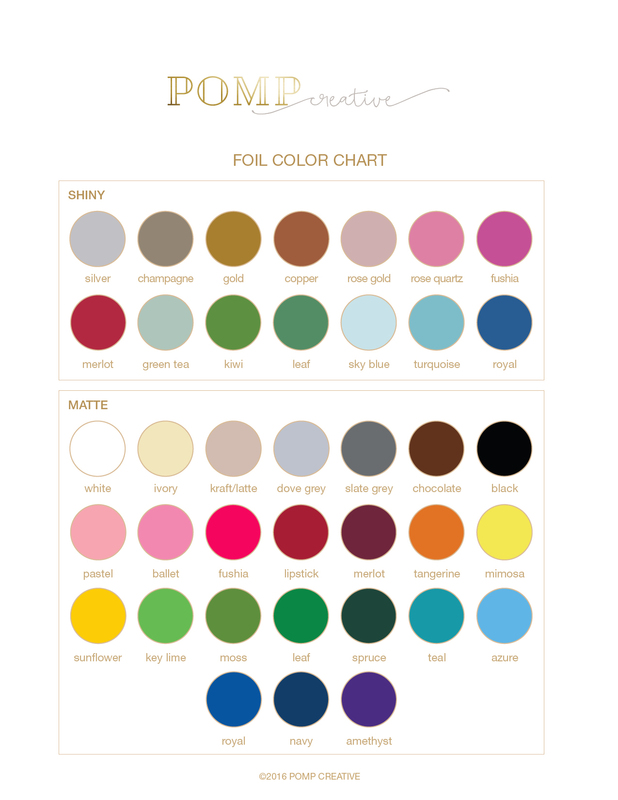 You will receive a proof of your napkin design via email within 1-3 business days. Please reply to that message with your approval or edits. You can make one edit to your proof. Each additional edit will be charge at a rate of $10 per additional proof. If you require any edits, please allow an additional 2 business days for a new proof. Production of your custom napkins takes approximately 10-14 business days from the date of your proof approval plus 2 or 3 days for shipping. 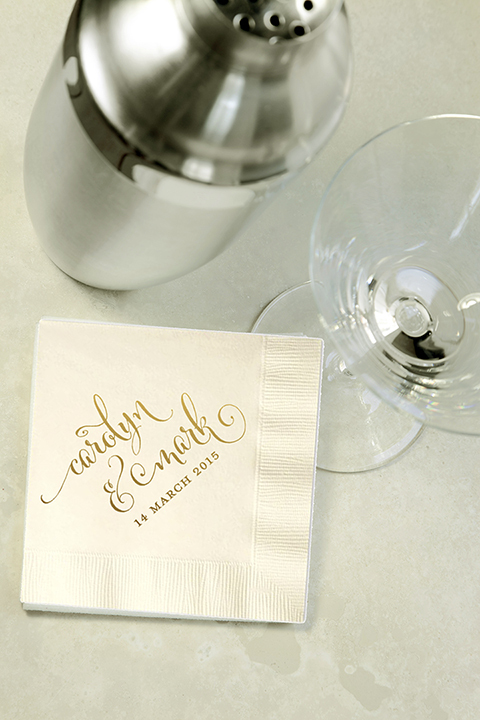 Make sure you give yourself plenty of time prior to your event–unfortunately we can’t rush custom napkin orders.